Problems with your order? +49-(0)9951-690190 - We are there for you! Product information "Zomo Flightcase DN-5500 | Denon DN-HS5500"
The Zomo DN-5500 ist the perfect solution for 1 Denon DN-HS5500 Media Player. Easy to transport and it protects against foreign access. The Zomo flightcase series is absolutely road and flight ready and protects its content durable before hits and negative influence. The removable lid can also be used as a base. Sheer genius and totally cool! It´s Zomo! The devices shown or mentioned are not included in the scope of delivery. 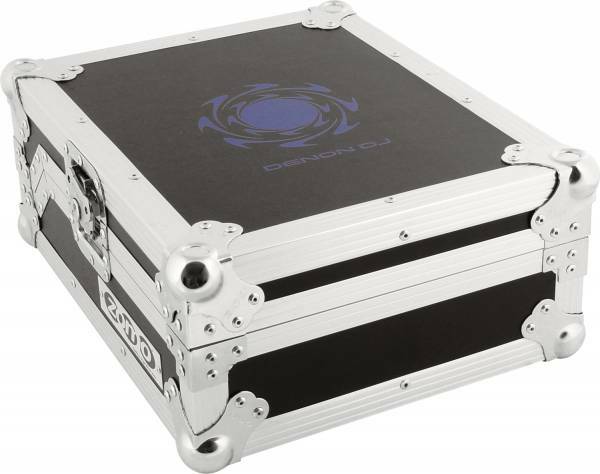 Customer ratings for "Zomo Flightcase DN-5500 | Denon DN-HS5500"
Ich fühle mich 100% zufrieden mit diesem Fall. Mein CD-Player passt perfekt und jetzt können wir sicher reisen. Tolle Verarbeitung und sehr schöne Optik. Vielen Dank für solch einen Qualitätsartikel.